Adjustable tan beaumont leather strap with contrast stitching. Polished stainless steel buckle closure. 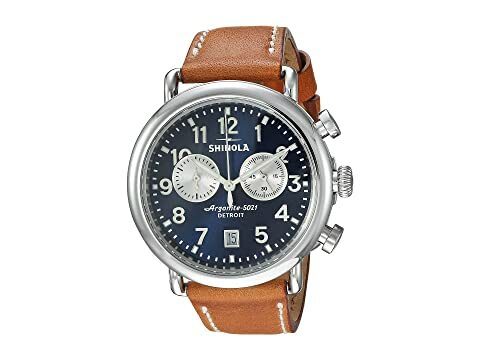 We can't currently find any similar items for the The Runwell 41mm - 20044131 by Shinola Detroit. Sorry!